The iPhone X has made waves in the high-end smartphone scene with the introduction of FaceID, but that’s not the only way to securely unlock a phone. Recent additions to the Android P development notes suggest that we may see an iris scanner in the Google Pixel 3. The Google Pixel 3 wouldn’t be the first Android phone to feature an iris scanner, and we saw a pretty efficient implementation of the technology from OnePlus in 2017. However, while the technology was super fast and convenient, it lacked the security necessary for it to be used reliably in Android apps. If there’s any company that can implement an iris scanner with the security chops needed to be used for sensitive information, it’s likely an organization with the resources of Google. The main company that develops technology for an iris scanner that may be included in the Google Pixel 3 is called Fingerprints, and they already have contributed to the iris scanner in multiple different phones. The tech that they’re pushing to be included in the Android Open Source Project, however, is different on several fronts. While previous implementations of the iris scanner have proven secure enough to unlock the phone in day-to-day usage, the iris scanner that could potentially go into the Google Pixel 3 is apparently secure enough to be used in Android apps – allowing the phone’s lock screen and keyguard to be bypassed while also allowing third-party apps the opportunity to use the iris scanner for identification. This development, if it comes to fruition, will be a major step forward for Android phones. While the Google Pixel 3 may not feature a technology similar to FaceID, the function of an efficient iris scanner would essentially accomplish the same thing. One of the premier benefits of FaceID is its ability to adapt to changes in appearance, but by using an efficient iris scanner, the Google pixel 3 won’t need to invest in that sort of functionality, as the iris should stay the same regardless of changes in appearance. While this is currently just a development note and not necessarily a confirmation that Fingerprints’ iris scanner will be present in the Google Pixel 3, there have been multiple instances of the entry “fingerprints” being changed to “biometrics” which suggests that the Android operating system will be opened up to more forms of authentication on a wider scale than we saw previously. In any case, we likely won’t see whether the iris scanner will be included in the final release until we get more information about Android P. Google is generally more open about the development process with the Android operating system than Apple is with their iOS, but Android P is still in development and any features that it brings won’t be confirmed for quite some time. The iris scanner functionality won’t be limited to the Google Pixel 3, per se, with Android P offering the functionality to pretty much any developer who wants to use it, but as the developer behind both the Pixel 3 and the Android operating system, we expect to see Google implement the iris scanner technology sooner rather than later. The competition in the high-end smartphone arena is fiercer than ever before, so implementing something analogous to the FaceID technology we saw with the iPhone X may help make the decision a little bit harder when customers are deciding to which phone they’d like to upgrade. The Google Pixel 2, while all around a pretty major step forward as a sophomore effort from the tech giant, was still plagued with a number of technical issues – some of which have yet to be resolved. Hopefully, if the Google Pixel 3 does implement iris scanner technology, we see it implemented flawlessly in a way that adds both security and convenience for users of Android P.
If there’s one thing that’s proven true in this generation, it’s that innovation pays off over playing it safe. While Samsung will likely see great sales with the introduction of the Galaxy S9, there have been a decent amount of complaints across the internet that cite the lack of new features and bemoaning the fact that it’s an iterative upgrade rather than a major step forward. 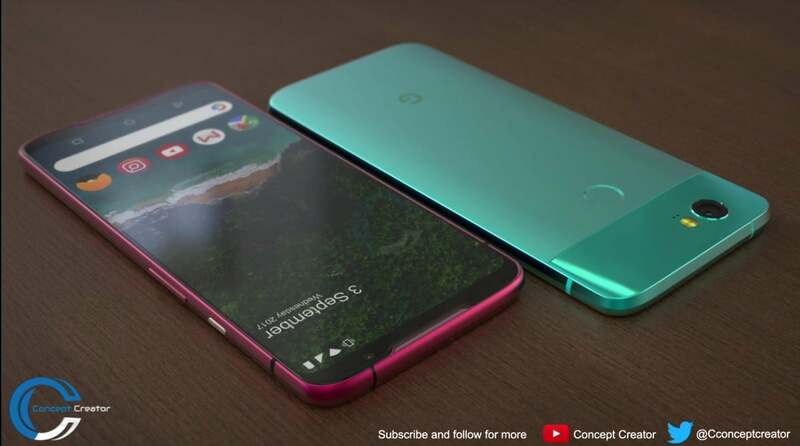 While playing it safe may avoid any disasters, the Google Pixel 3 has the potential to be a major force in the smartphone arena if Google is to continue to improve upon the great base they’ve established with the Pixel and Pixel 2 – perhaps offering new functionality like the iris scanner. It will be quite some time before we get a confirmation one way or the other of the inclusion or exclusion of an iris scanner functionality in Android P, but with the Android Open Source project being adjusted, it’s certainly a possibility that we’ll see a Google Pixel 3 with more convenient and secure access.